I emailed my article Chinese Head Tax, White Apologies, and "Inclusive Redress" (26 May 2014) to the Mayor of Vancouver, Gregory Robertson, and to Vancouver Councillor, Raymond Louie, who was the main subject of the article. Louie replied indicating he had forwarded the article to Kerry L. Jang, who is a Professor at the Department of Psychiatry, Faculty of Medicine, UBC, and also a Vancouver Councillor. Dr. Jang has well captured my sentiments in his response to your blog post and I hope you do take the advice to undertake better research before so casually painting the Canadian Chinese community with the same brush. If research is not the issue, then it concerns me deeply given your position in shaping our country's young minds. Now, before I proceed, let me state that I will be using the contents of these emails in articulating my reply to them fully mindful that both Councillor Louie and Dr. Jang offered reasonable responses to my article devoid of any personal ad hominem attacks. Therefore I am not divulging to the public anything that might be deemed to be a personal email exchange. As it is, if an email is made or received in connection with public affairs, then the email is a public record even if it is sent from a home computer, or made on a personal email account from any computer, and sent or received by any public employee, or any elected or appointed public official. Dr. Jang indicates that he, like Louie, is "also a Canadian of Chinese descent, with my family roots going back to the late 1890's from China to Vancouver." His first criticism is that my article "assumes that all Chinese feel the same way and we understand 'white guilt' which we love to manipulate." He observes that not all members of the Chinese community agree with the ongoing campaigns for apologies. He admonishes me for not having "explored this divergence of opinion", which would have been the "scholarly approach" to take. A joint statement from March 10 signed by Vancouver councillors Kerry Jang, Tony Pang, and school trustee Allan Wong, along with the three Burnaby councillors, was released in an effort to address the government's role in ending racism and offering a genuine apology — not just a "quick win" attempt to secure votes. The main voices in this campaign for continuous apologies are leaders of the Chinese community in Vancouver. We may in fact ask: what is common about Raymond Louie and Kerry Jang, and many of these leaders demanding money from Whites? Well, they both belong to the municipal party currently in power, which has very strong ties to BC's NDP party. There have been complaints about the "unscrupulous way" in which leaders of Vision Vancouver have shared private information in their data base with "other progressive organizations" (aka BC's NDP party). Jang, we are further informed, "has been an unabashed ally of the NDP." The "angry old white men" comment, however, was far more deliberate. As I observed on Sunday, Robertson was speaking from notes. This was part of a strategy to appeal to the folks in the room. It was intentional, worked out by the brains trust that surrounds our mayor. Who could the brains trust be? As a social scientist (I am a Professor of Psychiatry at the University of British Columbia), the value of apologies is simply not to extract a form of revenge, create guilt or compensation as you suggest. The act of apology or acknowledgement is a way to help people heal and most importantly, educates to ensure that as a society we don't repeat the mistakes of the past. 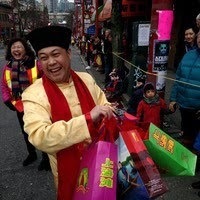 Yet, Kerry Jang, Raymond Louie, Victor Wong, Sid Chow Tang, Henry Yu, Bill Chu, Tony Pang, Allan Wong, Ann Kang, Richard Chang, and numerous Chinese leaders in Vancouver, are not satisfied but expect yet another — an absolutely genuine apology" — backed by more financial compensation, and more "education" to demonize Whites and elevate the moral status of the Chinese. On the individual level, 'saying sorry' acknowledges and affirms someone as a person with equal rights and status. It helps people put the past behind them, and the positive effects of apologizing allow us to move forward. There is a good reason as to why our parents taught us to "say sorry" for a number of transgressions — and you must agree that when someone apologizes to you for a mistake it does help! We all have feelings and they are central to good emotional health. No, in demanding that present-day Whites say sorry multiple times for things that happened a century ago, for which they were not responsible, to a current generation of Chinese who have not been discriminated but are instead continually celebrated for their "vibrant diversity", is an act of submission that can only be understood in a climate of political correctness imposed by the cultural Marxists who dominate our institutions. The Council of European Canadians is dedicated to reviving the spirit of pride, loyalty, and manly courage that made possible the creation of this country. The motion seeks to do some research into the forms of discrimination actively promoted and used by the City of Vancouver. Although the Feds and the Province have made their apologies, anyone who understands how governments work is that each order hs different powers and as such have different things to apologize for. Municipalities have land use powers and for example in the case of the City of New Westminster, such powers were used desecrate a Chinese graveyard for development. Each order of government has different powers and did different things which affected different parts of the community. The federal apology, as it has to do with immigration, affects only head tax payers and little to do with land use which affect people who were not head tax payers and so on. Lisa Rose Mar's Brokering Belonging: Chinese in Canada's Exclusion Era, 1885-1945 (2010). The ideological tenor and multicultural orientation of all these books is evident. The main theme in Lisa Rose Mar's book is how the Chinese have shaped their 'ethnic culture and identities to claim recognition and acceptance in America's multiracial, multicultural democratic state.' Whether the United States may have been, and still is, a nation founded by Europeans and Christians, who may wish to retain their own identity, is not a question Rose Mar ever considers. She wants it to become multiracial, and this ideology drives her reflections. Likewise, Wing Chung Ng's book is about how the Chinese in Vancouver shaped their cultural identity in the context of "Anglo Saxon racism". He takes it for granted that Canada should "entrench and deploy multiculturalism" and minimize its European-based identities. Each one of these historians argues that Canada's white culture was essentially characterized by "systematic racism". But this is not enough for the Chinese in Vancouver who claimed to be attached to Canada. They want apologies at every level of government for every possible form of "discrimination". Let's put this in context. We are not dealing with a marginalized minority, assuming the Chinese were ever marginalized; we are speaking of an ethnic group that is now the majority in various regions of Vancouver, and will soon be the ethnic majority in the city at large. With the implementation of Trudeau's multicultural ideology, Vancouver would see a flood of non-Western immigrants. The total number of Chinese in Vancouver in 1951 was still only 8,729, in a population of roughly 345.000; in 1961, it increased slightly to 15,223, and then to 30,640 in 1971. It was during the 80s that the gates were thrown wide open and the entire Third World was invited to come to Canada. Consequently, by the mid-90s, the Chinese population in Vancouver suddenly shot up to 300,000, out of a total population of 1.8 million. According to a census of 2006 the total number of Chinese in metro Vancouver stands at about 410,000. We are thus talking about a very powerful demographic group that also happens to be very wealthy with deep ingrained connections to Communist China. This group has been allowed to alter radically the formerly elegant, serene, community-oriented, British city of Vancouver, turning it into a loud, congested Asian city (still attractive only because of the architectural and institutional legacy of past White generations). As Henry Yu announced a few years ago: "Vancouver is no longer a Canadian city, it is a global city that is one stop within the Pacific world, with two-thirds of male Canadians of Hong Kong origin between the ages of 25 and 40 living and working outside Canada." Yes, the city now has a Chinese global lifestyle — one "that is common in Hong Kong, where people know that a key to making money is not to view the place you make money as necessarily the same place you live." Finally, the intent of the motion is to do research. Its not just about understanding the scope of discriminatory practices, but at the same time, as I discovered while working with the Japanese community here, highlight the fact that so many "non-Chinese" came to their defence. So, its not just about "white guilt" as you put it, but also "pride" in fighting for and standing up for basic human rights for everyone in our Country. While working with the Japanese community we heard many stories were people came together to fight the internment, fight to allow the students at UBC to complete thier degrees, etc. Its an opportunity for highlighting our common values. There are many such stories in the Chinese community as well and that would make an excellent blog post. Jang may have been taken by surprise hearing for once, the first time likely, a Professor, challenging the hocus pocus Canadians have been compelled to digest for decades about bad White colonialists. He surely is aware that Asians come from cultures that, by our standards, are crudely racist and where individuals enjoy few rights. He surely knows that the ideas and values he is advocating here were nurtured by Whites, and that these ideas are driven by the erroneous universal egalitarian illusion that White countries must be diversified otherwise they are racist, even though there is not a single non-White country calling for diversity and mass immigration. Clearly he is exploiting White ideas to advance the ethnic interests of the Chinese, utilizing the same white guilt our educational institutions inflict on White children. What he calls "pride" is nothing but the relentless demands by Asians to extract ever more resources from Whites. It is time Whites show respect for themselves and stop kowtowing to the Chinese. I hope you find my comments helpful, and I do encourage you to do better basic research for your posts. Opinions based on incomplete or unbalanced research is the very antithesis to our role as educators. I certainly strive to research all sides of an issue, and when I get it wrong, I acknowledge my errors — and sometimes they warrant an apology! All this talk about research is devoid of any substance; why not answer the argument I cited from Dan Murray explaining the historical context for the head tax. This context was: "Chinese labour contractors brought many more thousands here in the 1880's and 1890's as surplus labourers (in some cases as strike breakers), but in general as competing/replacement workers). Chinese contractors and certain businesses used Chinese labourers to compete with host population workers for employment and to replace host workers where possible." Perhaps Whites should be demanding compensation from Chinese contractors for bringing cheap laborers and strike breakers against Canadian citizens. Why can't the ancestors of the people who fought and died for this country see what is happening here? Because my dear our civilization is in a gnostic trance. This dream state is based on a theoretical fallacy that our current order is now a cosmic fact. That mental error prevents them from comprehending the fragile nature of a civilization and its inherently tenuous existence. The hostility expressed by white elites when asked to justify their actions is based on that mistaken notion, as they can't understand why anyone would be concerned about sustaining the body politic since as far as they're concerned our order cannot be threatened. Haven't you ever noticed if you bring up any topic about existential risks to our society these people get really ornery and usually snap out with contempt by a response that I've dubbed as "the smirking gnostic syndrome". You know, that stupid condescending grin they always get, usually followed by a demeaning lecture not to disabuse you of your ignorance, but to guard the sacred secret and let you know how stupid you are. It just irks this type they have to be in the presence of the dim witted who think all this could collapse, since it actually has to exist otherwise the universe will end (who are the idiots??). So no defense will come until a complete catastrophe occurs or they die off and are replaced by those less delusional. Count on this Cheryl, every crisis escalation from here till then they will double down on their dream conception. What appears as insanity to the uninformed can be understood if you keep that principle fallacy in mind.